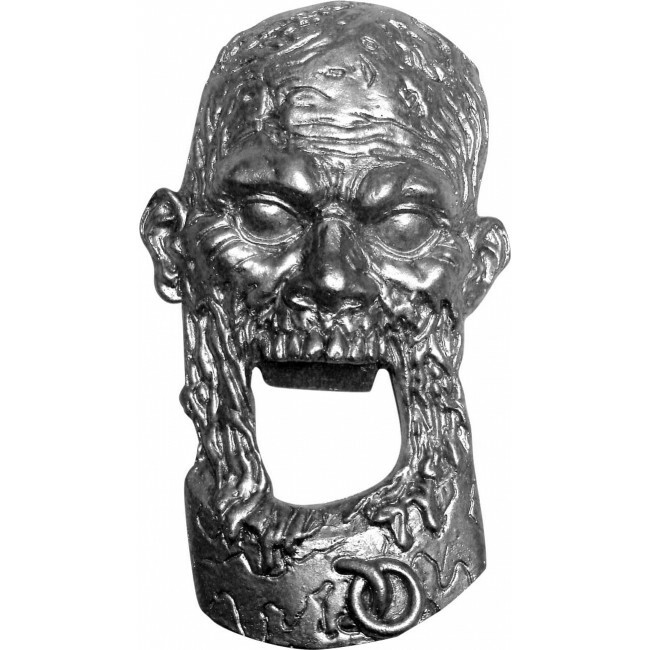 This 3.5 inch solid metal bottle opener is in the shape of Michonne's pet zombie from the smash hit series The Walking Dead! You'll impress all your friends when you "bite" off the bottle cap on a refreshing beverage using the zombie's jawless mouth. Then you can show off your love for the undead by hanging it on the refrigerator using the magnets on its back when you're done.